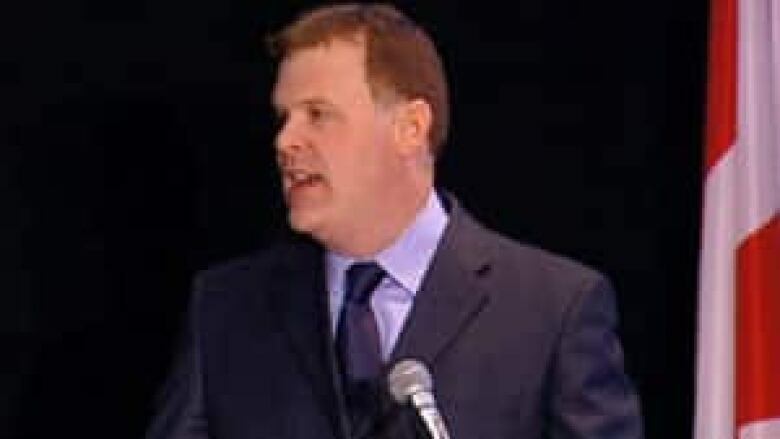 Foreign Affairs Minister John Baird announced Tuesday the government is scrapping the troubled Rights and Democracy agency — an organization that in recent years had been torn by internal strife. Foreign Affairs Minister John Baird announced Tuesday that the government is scrapping the troubled Rights and Democracy agency — an organization that in recent years had been torn by internal strife. "There have been many, many problems at this agency for some time," Baird said during question period. "These problems are very well known. What we’re simply doing is taking that important project of Rights and Democracy, of freedom, and bringing that within our department." Baird said it was "high time to put those problems behind us and move forward." In an earlier statement, Baird said that the move is part of the government's efforts to find "efficiencies and savings" and that legislation will be introduced in the near future to close the centre. The government-funded agency was created by the Progressive Conservative government of Brian Mulroney in 1988 to encourage democracy and monitor human rights around the world, Rights and Democracy is supposed to operate at arm's length from government. But trouble erupted in 2010 when board members appointed by Prime Minister Stephen Harper's government challenged grants that had been made to three human rights organizations. The new appointees considered the organizations to be anti-Israel. The president of the agency, Remy Beauregard, died of a heart attack shortly after a stormy board meeting about the grants. The ensuing internal conflict led to two resignations from the board, an open staff revolt, suspensions of senior staffers, a mysterious break-in, a forensic audit and the hiring of a private investigator. In a short statement to the media late Tuesday, the media spokesman for the Montreal-based agency, Jean-François Gagnon, confirmed that employees had been notified of the government's plans and that during the transition period of winding down operations, employees would be treated with respect. He would be comment further on the government's decision. "Rights and Democracy was something that they were not able to control as completely as they would like to," NDP Leader Tom Mulcair told reporters after Tuesday's question period in the House of Commons. "Destroying Rights and Democracy is a further step away from our credibility on the world stage on these important issues." Hélène Laverdière, NDP foreign affairs critic, said Foreign Affairs cannot replace an independent body that has specific expertise in the promotion of democracy. "They've basically destroyed Rights and Democracy from the inside. They put their people in there, they created a lot of trouble," she said. "They let the situation fester and created more problems." Liberal foreign affairs critic Dominic LeBlanc summed it up in a similar fashion. "This Conservative government has tried to use Rights and Democracy to advance its own ideological agenda. When that failed, they drove the organization into trouble and then killed it off as a 'cost-cutting' measure," he said in a print statement. "The Conservatives will now use the newly created Office of Religious Freedom, inside the Department of Foreign Affairs and International Trade, to advance a narrower agenda," LeBlanc's statement continued. "This office will not be arm's length." Does cutting foreign aid threaten Canada's reputation in the world?